Supramolecular architectures of natural carbohydrates have recently attracted much attention as smart materials from bio- and nanoengineering perspectives. Cellulose (β-1,4-linked D-glucopyranose), which forms the main constituent of plant cell walls, is the most abundant and renewable bioresource. This polysaccharide shows specific unique features for hierarchical organization by self-assembly. We have pursued our studies of novel microstructured catalysts composed of catalysts and inorganic fibers prepared by a papermaking technique. The as-prepared materials, called a paper-structured catalyst, have been actively developed for environmental and energy applications. A novel glycosynthesis through the intriguing combination of surfactant-enveloped enzymes (SEE) and various organic media is being investigated for the architectural and functional design of carbohydrate-based biomaterials. The SEE biocatalysts active in nonaqueous media were successfully prepared by protecting the surface of enzymes with a specific nonionic surfactant: dioleyl-N-D-glucona-L-glutamate. 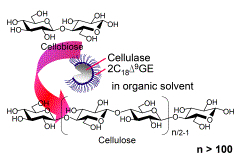 The SEE-mediated biocatalysis have enabled the artificial synthesis of cellulose from cellobiose, one-step oligomerization of lactose and its conjugation with alkyl-alcohols, and the effective surface glyco-modification of solid-state cellulose matrix, e.g. cellulose films and paper as new types of biointerfaces. This novel approach is expected to provide potential applications for the biomaterials design in the advanced glycoengineering fields. Structural control and interfacial functionalization of biopolymer-based nanolayers have become of major interest lately. In our research, cellulosic nanolayers were successfully designed by self-assembly of carbohydrate chains with thio-labeled termini on a gold substrate. Cellulose nanolayers had a parallel chain crystalline alignment, which is the first achievement in replicating the native crystal structure (cellulose I) in the layer state. 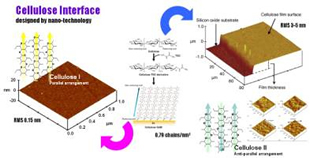 Methylcellulose (MC) nanolayers exhibited a reversible, thermo-responsive wettability around inherent lower critical solution temperature of aqueous MC solution. This novel vectorial chain immobilization technique can be applied to most of carbohydrates from monomer to polymer. A new concept in the architectural design of layer-state carbohydrate materials would have wide applications towards "biomaterials innovation". Carbohydrates have attracted much interest from biological and medical standpoints because of their essential roles in all living things. 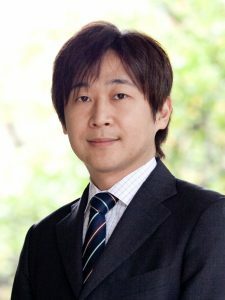 We could unexpectedly find out that cellulose I nanolayers possess a unique cellar responsiveness as an animal cell culture substrate, although regenerated cellulose II films are entirely bio-inactive. 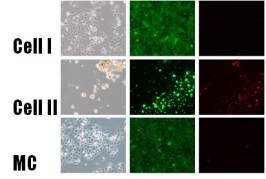 Furthermore, a novel synthesis of gold nanoparticles decorated with thio-labeled carbohydrates was also achieved via in-situ, one-step glyco-conjugation in N-methylmorpholine-N-oxide/HAuCl4 system, and applicable for various carbohydrate polymers and oligomers (chitin, chitosan, hyaluronan, lactose, maltose, etc.). A novel approach for glyco-decoration is expected to open up a new phase in the functional design of carbohydrate biomaterials as a biointerface and a biosensor. Microstructured catalysts have recently occupied much attention as promising catalytic materials due to their efficient diffusion properties of flow and heat in various catalytic reactions. Paper is composed of cellulose fibers, and forms unique porous fiber-network structures. This material is allowed to hold large amounts of fine fillers such as catalyst particles, and has potential possibility as a catalyst support. We have pursued our studies of novel microstructured catalysts composed of catalysts and inorganic fibers prepared by a papermaking technique. The as-prepared materials, called a paper-structured catalyst, have been actively developed for environmental and energy applications. 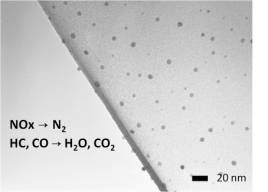 Paper-structured Cu/ZnO catalysts to produce pure hydrogen from methanol for fuel cell applications were successfully prepared by a high-speed and low-cost papermaking technique. Porous fiber-network microstructures made great contribution to excellent catalytic reactivity, selectivity, stability and durability, due to promoting a desirable gas and heat transfer to the active catalyst surfaces. Recently, a facile and direct in-situ synthesis of Cu nanocatalysts on a paper-like matrix with a fiber-network microstructure was also achieved by using ZnO whiskers as a selective catalyst support. Metal nanoparticles (e.g. Cu, Ag, Pt and Au) supported on the ZnO papers are expected to possess wide practical applications for a variety of catalytic processes. Exhaust gases from combustion engines and processes have caused air pollution, leading to a major environmental issue on a global scale. Honeycomb-structured Pt catalysts are being marketed, but their practical performance has not reached the sufficient level yet. In our research, paper-structured Pt catalysts prepared by a papermaking technique exhibited high catalytic efficiency and quick thermal response as compared to commercial honeycomb catalysts in the NOx reduction process. Furthermore, Pt nanoparticles were successfully synthesized on carbon fibers with high thermal conductivity. 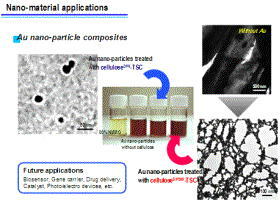 The combination of porous paper structure, functional fiber support and highly-active Pt nanocatalyst is expected to be a promising approach for effective purification of exhaust gases. Computational fluid dynamics (CFD) is a powerful tool for the prediction and analysis of fluid flows, and has recently attracted interest in the virtual visualization of complicated catalytic reactions. 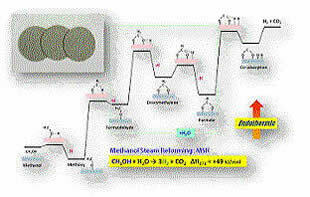 In our research, autothermal reforming behavior of methanol to produce hydrogen is being simulated by the CFD analysis, revealing that exothermic partial oxidation occurs prior to endothermic methanol steam reforming inside a paper-structured catalyst. Then, local distribution of generated hydrogen and carbon dioxide caused a reverse water-gas shift reaction, resulting in the undesirable carbon monoxide by-production. 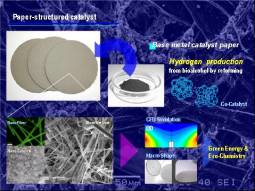 The CFD-assisted catalyst design is expected to be a promising approach for the research and developments of high-performance paper-structured catalysts.